Their show is a relentless sequence of hit songs, laughter and mockery. Never scared to take a jib at each other, on or off the stage, they now know each other affectionately as “The Turtle without a Shell” and “The Cheshire Cat”. You figure out which is which! 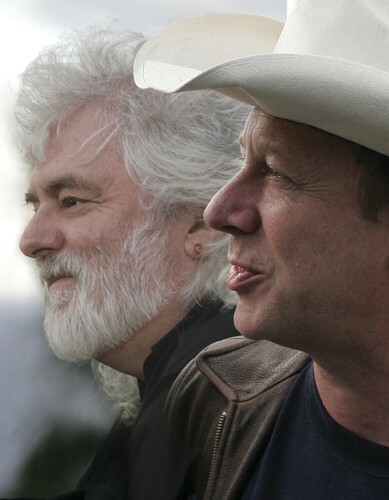 Brian Cadd said "It is rare and enjoyable to spend ninety minutes on the stage every night with someone who has travelled the same musical road and number of years as I have. It makes the musical highlights, the songs and the silliness all that much more fun. Come and see what we mean!" Together, Russell and Brian deliver a dynamic show of not only their hits but also a selection of seventies rock classics that are bound to have the audience singing along with them. They may arrive on stage as 60-year old mates but they turn themselves, and their audience, truly back to 20-year old rockers. Don’t miss these 2 legends of Australian Music together in one show.